Treat your mother, sister, best friend or any loved one to the perfect gift this Mother’s Day with a makeup and facial pamper package for the both of you! 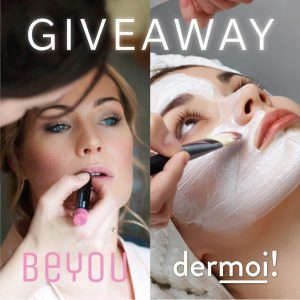 We have teamed up with @dermoifacials for your chance to WIN a makeup artist and facial therapist of your choice from Beyou and Dermoi straight to your door. The competition closes on the 25th March where one lucky winner will be selected at random and announced through Insta stories.